Brand New range of Halal-Certified Collagen-infused bird's nest beverages unveiled . From decade Bird's nest has been scientifically proven to have several health benefits such as stimulating the regeneration of cells , strengthening our immune and respiratory system , as well as improving the performance of our internal organs . one of its most sought-after beauty benefits is its ability to rejuvenate cells , promoting smooth , radiant and youthful skin in the long term if taking bird's nest in long term . 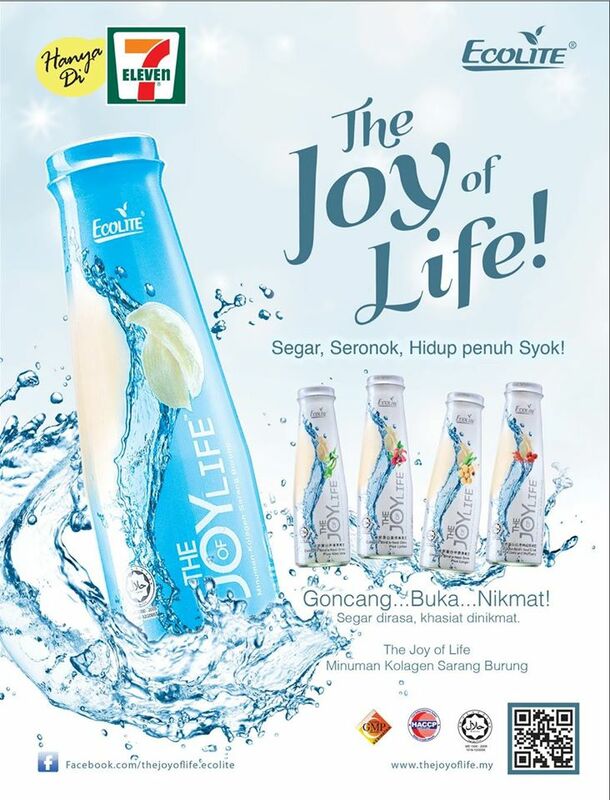 Today , The soft Launch of 'The Joy Of Life' been made at the Glasshouse seputeh this Afternoon by Ecolite Biotech Manufacturing Sdn Bhd . Ecolite introducing the new way to enjoy health benefits of edible bird's nest and launched a brand new healthy of collagen Bird's nest beverages . 'The Joy Of Life' comes with five flavours that is Aloe Vera , Lychee , Longan , Red Date with Wolfberry and the original Flavour , Each bottle contains 2500mg of collagen and comes in a stylish and transparent packaging with a vacuum safety button . Easy grab and go open up drinks for the refreshing day . 'The Joy Of Life' contains all natural food contents with Edible Bird's nest , Marine Fish Collagen , Rock Sugar and RO Water , Making the best nutritious drinks for consumers . The product was proudly to announce is free of preservatives , artificial sweeteners , artificial flavourings and colourings . 'The Joy Of Life' products contain natural ingredients that add flavour and providing variety choices for consumers . As the only Integrated bird's nest producer and manufacturer in malaysia and a leading company in the market , Ecolite houses , Harvest and manufacturers its own bird's nest product , while ensuring the quality control in every of the producing process . 'The Joy Of Life' currently available in all seven eleven convenience stores and soon will be sold at most major pharmacies and hypermarkets in the country .